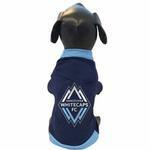 Cheer on your favorite MLS Team with the Vancouver Whitecaps Athletic Mesh Dog Jersey! Posted On 04/16/18 by Korena S from King City, OR Yes, Korena S recommends this product! I was so excited to find this since my best friend is a huge fan. It fits my dog perfectly!!! Everything was fine, except the dog harness didn't fit. I measured him, but he is quite the squiggler, so I probably got it wrong. 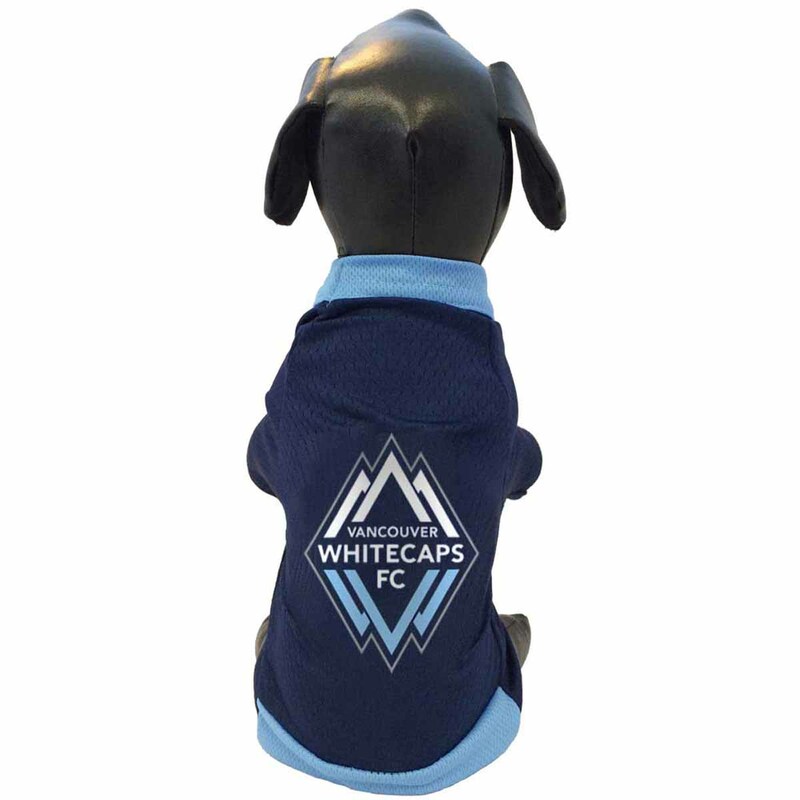 Too bad because it was really cute, and was too big for our other dog. They are both Dachshund's and sometimes hard to fit with the big breast bone and the associate explained to me that there was NO stretch in that particular harness. I'll try again after the Holiday's. The customer service was great and very helpful.